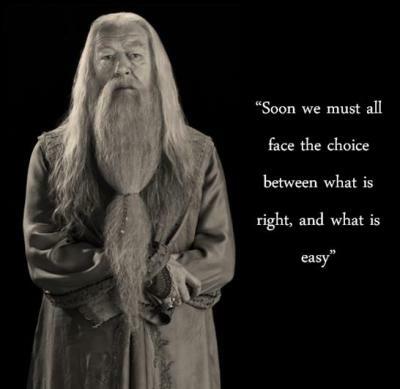 One of my favorite popular quotes from the book comes from one of the best characters, Dumbledore, “Soon we must all face the choice between what is right, and what is easy.” Now, there is a lot of depth to this quote and I love and remember this quote often. 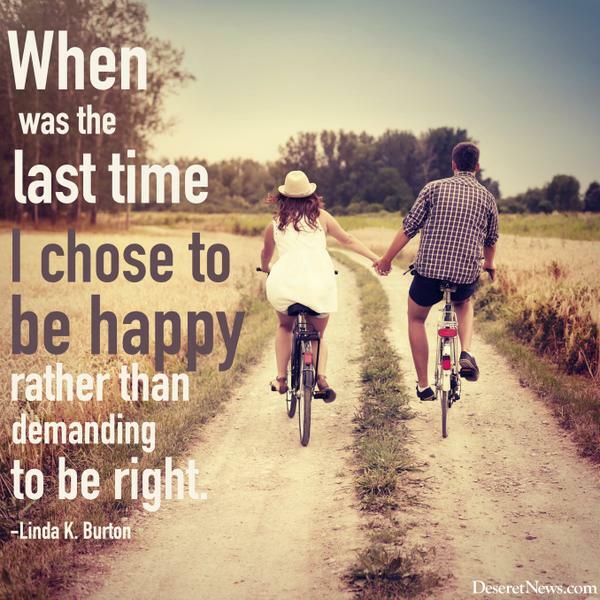 As I was reading the talk We’ll Ascend Together by Sister Linda K. Burton, I came up with a twist on the quote to help me remember to make a happier marriage. In the talk she asks a couple of questions to us wives and the one that stood out to me the most was, “When was the last time I chose to be happy rather than demanding to be ‘right’?” This hit me because I love to be right and majority of the time I truly believe that I am correct and everyone else is wrong. This can cause problems in my marriage when both my husband and I believe we are correct about different things. Plus, I am stubborn and demand to be right. The first thing that came to my mind when I read this question was a twist on Dumbledore’s quote and Sister Burton’s question, “Soon we must all face the choice between demanding to be right and being happy.” Now I know, it’s not as cool sounding but by combing the two quotes it made it easier for me to remember. That way it reminds me to work on this because I can quote it to myself often. This week I had one of these times when the choice came up. My husband and I were going to meet my family at the temple to do one last session with sister before she left on her mission so I was very excited about it. My husband and I disagreed on what time we needed to leave in order to make it there in time. I am the kind of person who likes to be early where my husband likes to just show up right in time. I was super worried about leaving at my husband’s time for fear of missing the session but we left at his time regardless. Yes, I had been right about what time to leave but did I need to demand from him to understand that and make him feel guilty about it? Or did I need let it go and just be happy that I get to go to the temple with my husband? I have to be honest, it wasn’t an easy choice because I was hurt and angry and those emotions were running deep and hot, but I decided to forgive him without saying anything about being right. 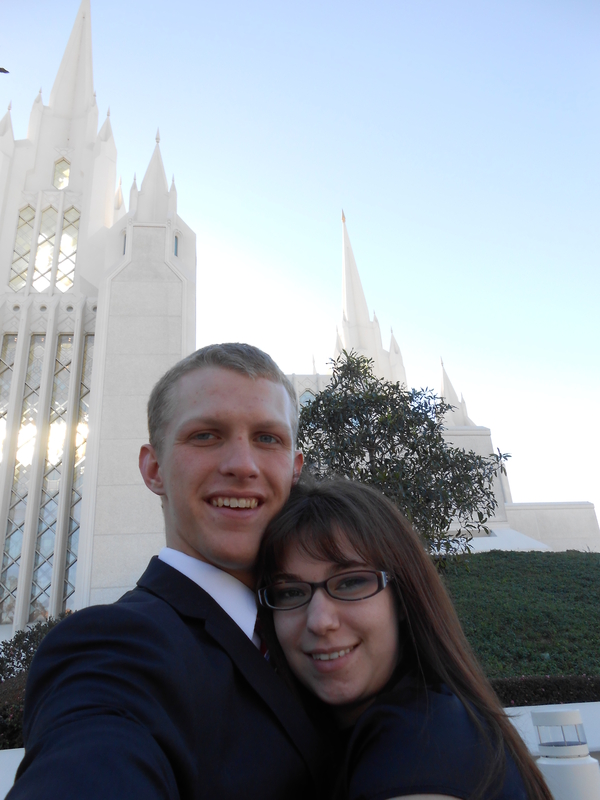 I just focused on the positives of being in the temple with my husband. By going through this experience I was surprised how much happier I can be by not demanding to be right. Yes, demanding to be right I get this short lived gleeful feeling that is addicting but it’s followed by a sad and hurt husband which in turn hurts me and my marriage. When instead of getting angry and gently forgiving my husband it created a a closer happier marriage. In to book, Fighting for you Marriage, it explains this when it, “When you experience your partner behaving toward you with care and sensitivity, you develop a greater sense of trust, which also deepens intimacy. We call this a positive feedback cycle: each positive behavior leads to another positive behavior.” When I choice to focus on the positives it gave me true happiness that lasted the rest of the night. I fell more in love with my husband and had one of the best temple sessions I had had in a long time all because I made the uneasy choice to be happy instead of right. Pre-mission jitters! And I’m not even the one leaving!